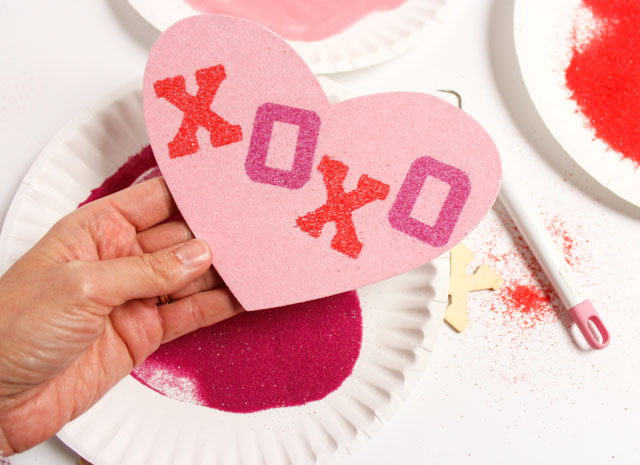 The Cutest Sand Art Valentines! 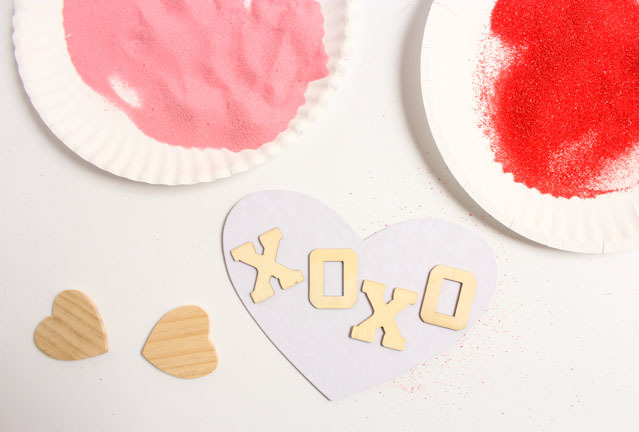 Whether you’re a kid, or a kid at heart, I promise you’ll love making these sand art Valentine cards! 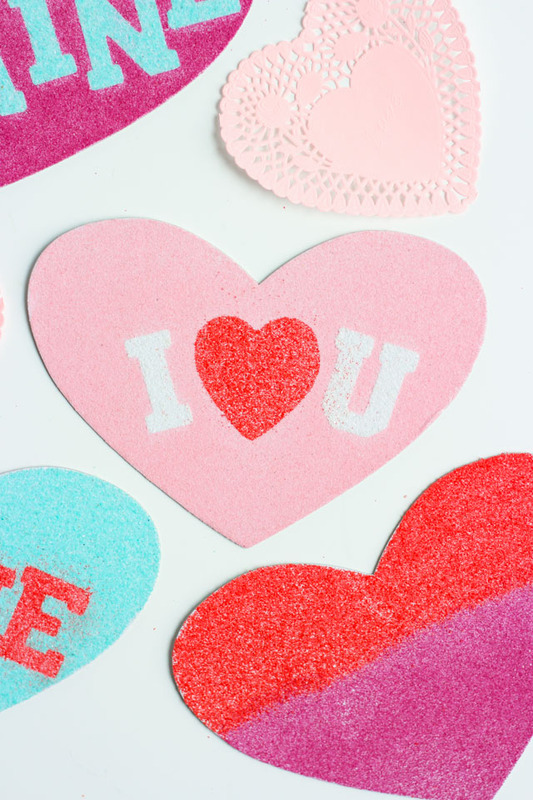 This project is super easy thanks to these heart-shaped sticky boards. Just pour sand on top and it sticks. 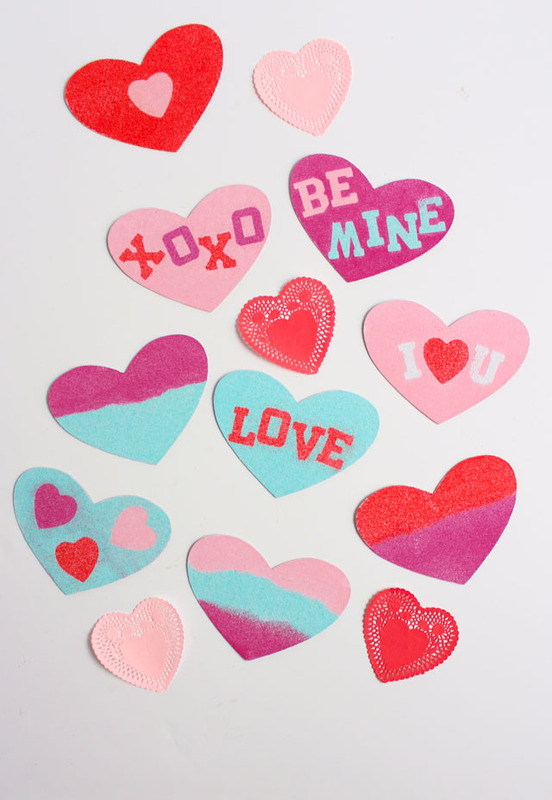 I played around with adding different words and color combinations to the hearts. Read on to see my simple tricks for making your own! I have loved making sand art ever since I was a kid. As an adult, I’ve looked for ways to elevate it to a more grown-up craft such as this modern sand wall art that I made for Oriental Trading. 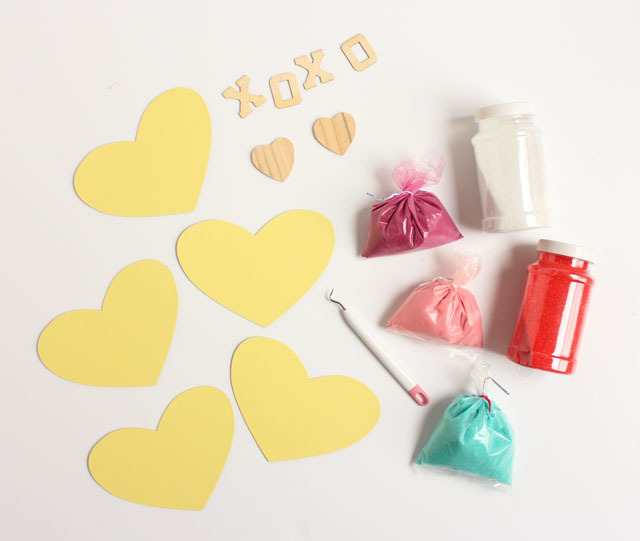 There are so many possibilities for crafting with colored sand beyond just layering it in jars! 1. 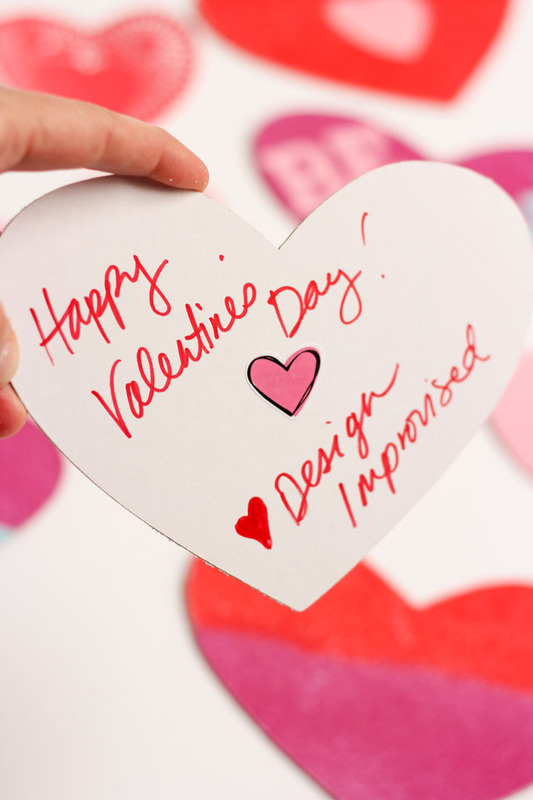 Peel the yellow paper off of the sticky heart board (the hearts are a nice sturdy cardboard). 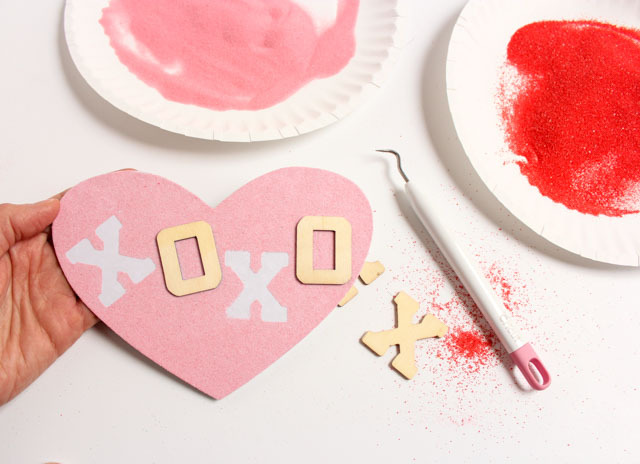 Use the wood letters and hearts to make a message. They will easily stick to the heart. I chose wood because they are easy to pop off. I had initially tried making the message with letter stickers and vinyl letters, but the heart is so sticky that it was difficult to remove them! 2. Pour colored sand over the heart to cover all of the area around the letters. Tap off the excess. 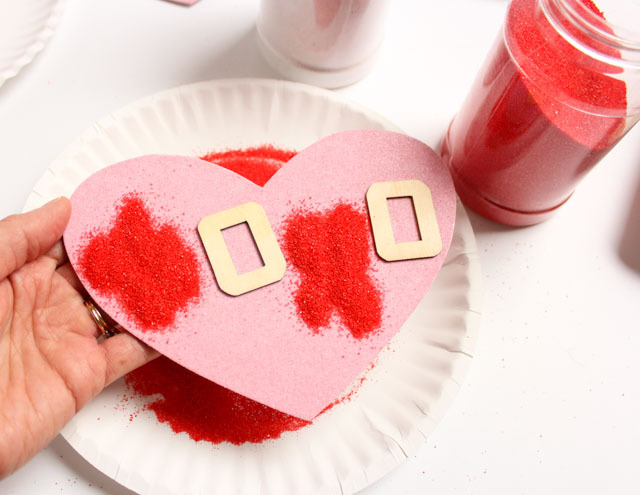 I like using paper plates under the hearts to easily collect the extra sand and reuse it. 3. Use a vinyl weeding tool (or similar pointed tool) to carefully pop off the wood letters. If you want to use multiple colors, just remove a couple letters at a time (these will be the same color). 4. Pour another color of sand on top of the exposed letters. Tap off the excess onto a paper plate. 5. Repeat by removing the remaining letters and covering with another color of sand. 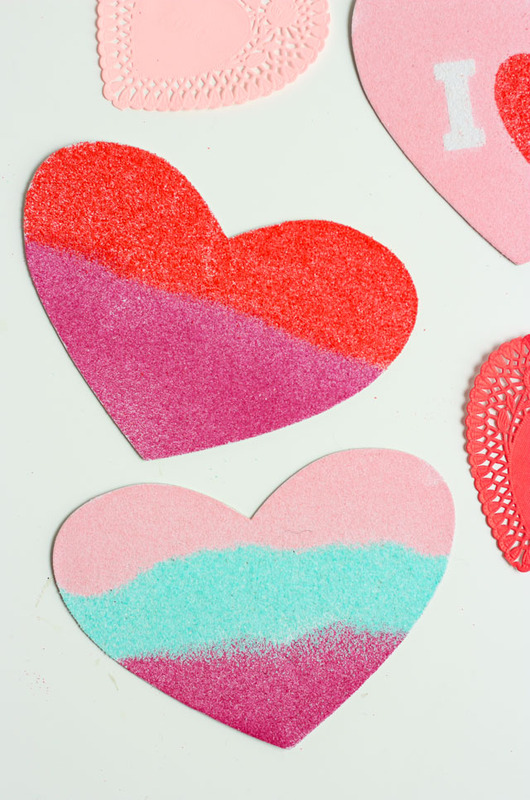 To preserve the sand art and prevent any from being scratched off, I recommend giving each Valentine a spray of acrylic spray sealer when you are done! 6. 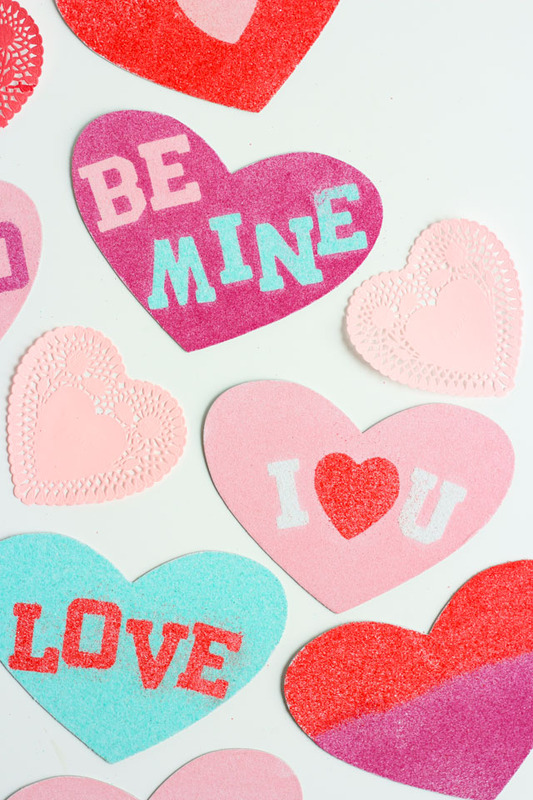 You can write a special message on the back of your valentine! Aren’t these so cute? It was easy to whip up a bunch of them, and I must admit, once I started making them it was hard to stop! It is so fun to try out different combinations. 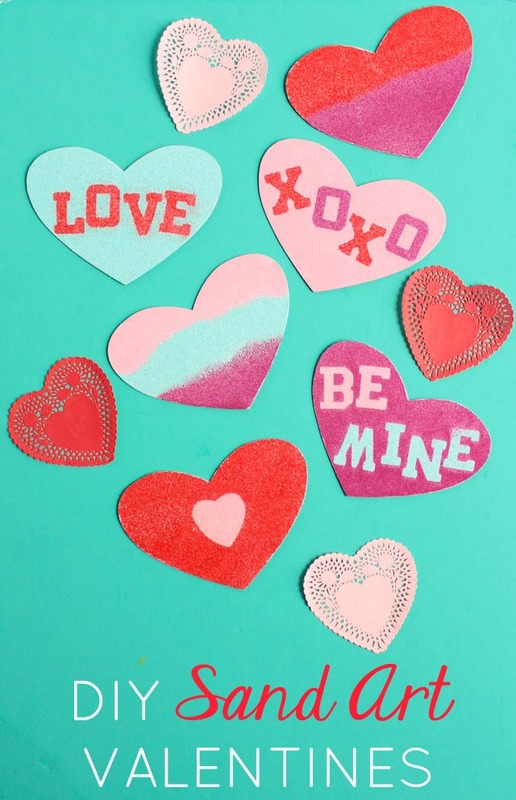 The hearts come in a 24 pack, giving you lots of opportunities to play around. 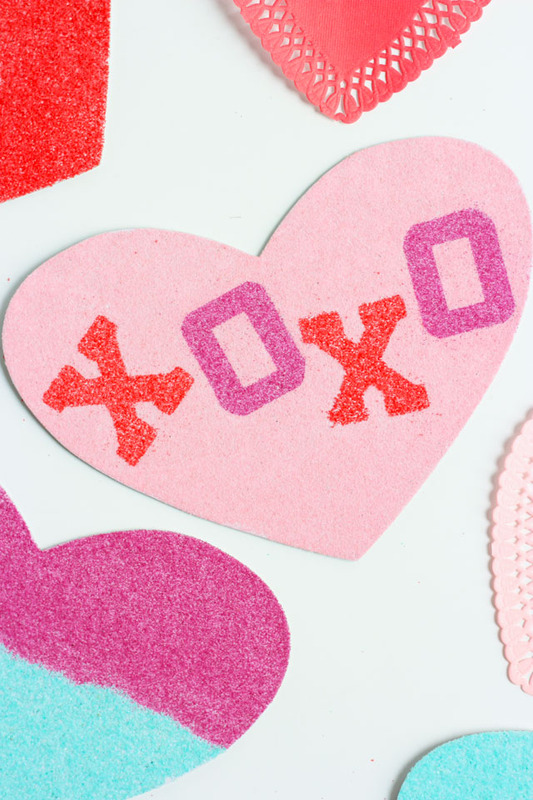 The best part is you can reuse the wood letter and hearts for another craft project such as this sweet wood heart canvas or these rhinestone heart magnets! Thank you to Oriental Trading for providing the supplies for this project!